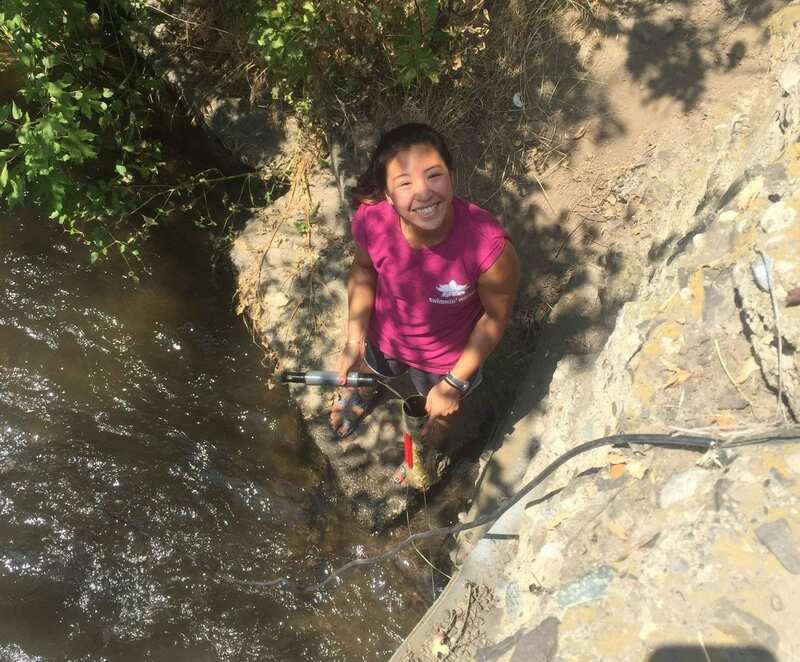 It’s the last Sunday of the month, and as Nathan, a co-worker and student at the Walla Walla Community College, and I clamber out of his truck at the last site for water quality testing, the Walla Walla summer heat surrounds us. I check my clipboard and confirm that it’s site 16 of the day and we’re both excited to finally get out of the sun. Once we make our way down to the creek, we struggle through overgrown grass and dried up plants. At this point, we have our routine down. I bring out the datalogger, a fancy piece of equipment – a HI-9829 – that we affectionately call Hanna, as Nathan digs out the temperature tidbit from a PVC pipe in the river and attaches it to the shuttle that we use to transfer the data. I then screw on the data reader attached to Hanna and pass it to Nathan to place in the water, and we wait the 10 minutes Hanna needs to do her work. We chat, sometimes listen to music, but mostly we take advantage of the opportunity we have to be outside, by the water, and just sit back and enjoy it. Once the seconds reach 600 on the screen, we pack it all up – another routine that we have down pat – and call it a day. At this point it’s 2pm and already 95 degrees out. My name is Amanda Li and I am about to enter my senior year at Whitman as an Environmental Studies-Biology major. The data collection we do once a month is part of a project that Kooskooskie Commons, a non-profit organization in Walla Walla, initiated. The Riparian Restoration on Lower Yellowhawk Creek Project is premised on the idea that a waterway’s riparian buffers are essential to its water quality. Additionally, in order to improve the water flowing through Yellowhawk Creek and the Walla Walla River downstream, the spring creeks that flow into it must also be available and clean. By working with local landowners and other essential stakeholders, Kooskooskie Commons was able to locate areas to remove invasive plant species from the riparian banks of Yellowhawk and some of its spring creeks. Then, tarps were laid down to discourage the regrowth of these plants as native species were planted instead. 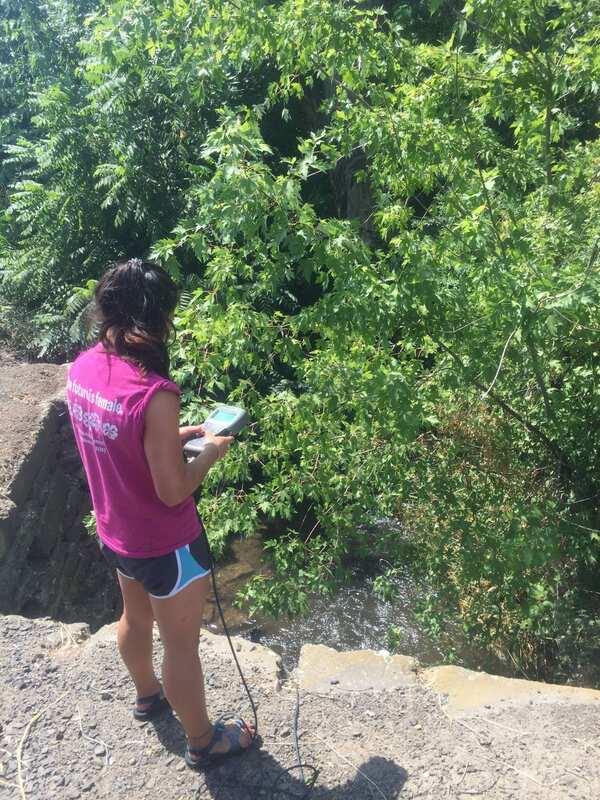 The monitoring sites for this project included areas along Yellowhawk and vital spring creeks. Some received restoration and others did not in order to provide a comparison. When there is no data collection to do, I spend most of my internship time with Judith Johnson, the Program Coordinator of Kooskooskie Commons. I have assisted in some planting, for which she has hired the help of inmates from the Penitentiary, attended meetings she has attended and led as the Kooskooskie Commons representative, and helped her with her ongoing efforts to organize and compile documents and data she has acquired over her career. Judith is an active participant in issues regarding water quantity and quality in the community. This means that she has cultivated relationships with government agencies, such as the Department of Ecology, other organizations, such as the Walla Walla Watershed Management Partnership, and other stakeholders, such as local farmers, landowners, water rights holders, and representatives from the Confederated Tribes. Working with Judith and Kooskooskie Commons has allowed me to scratch the surface of water issues, both broadly and locally, better understand the intricate dynamics between ecology, policy, and economics, and learn about the advantages and disadvantages of working with a non-profit organization.